The New 5.5-inch LG G3 stylus won’t be a competitor of the Samsung Galaxy Note 4, which lacks in the QHD display but the G3 boost by QHD and the stylus has only less impressive qHD IPS 5.5-inch screen with low resolution of 960 x 540. 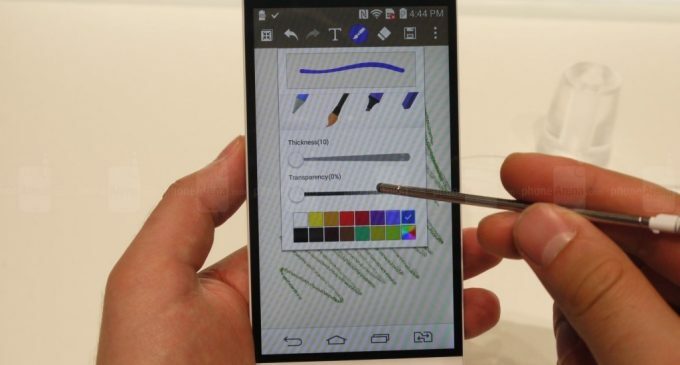 The LG G3 Stylus design is same design as LG G3 with curves edges and slightly chunkier and the plastic feels cheap. The LG G3 stylus will suits comfortably to your hand and also gives good look, which has physical keys like lock button in the middle of volume up and down. The LG G3 stylus wake and sleep with a double tap of the screen, but be careful while handling this slender mobile if you are not using carefully your mobile will easily bent or broken, which having S pen with pointing feature only it won’t offer any additional features. The LG G3 Stylus powered by the 1.3GHz quad-core processor with 1GB of RAM with internal storage is just 8GB and working with the Android 4.4.2 Kitkat, which offers best user interface, so you can unlock the screen by tap a pattern rather than typing a pin or password and also having many own features. Now your LG G3 stylus will allow you to take stunning pictures with good quality with the 13MP rear facing camera and 1.3MP lens front facing camera. 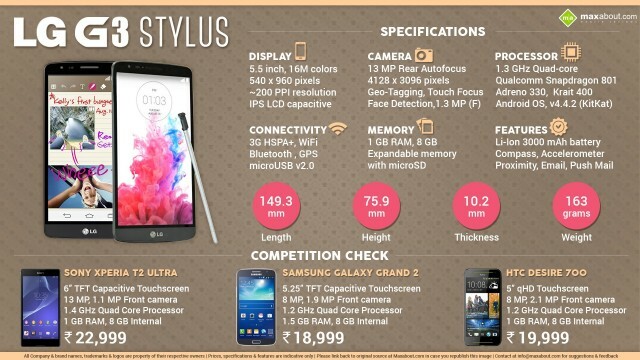 So the decent display, performance, camera and other features of G3 Stylus will impress you more.